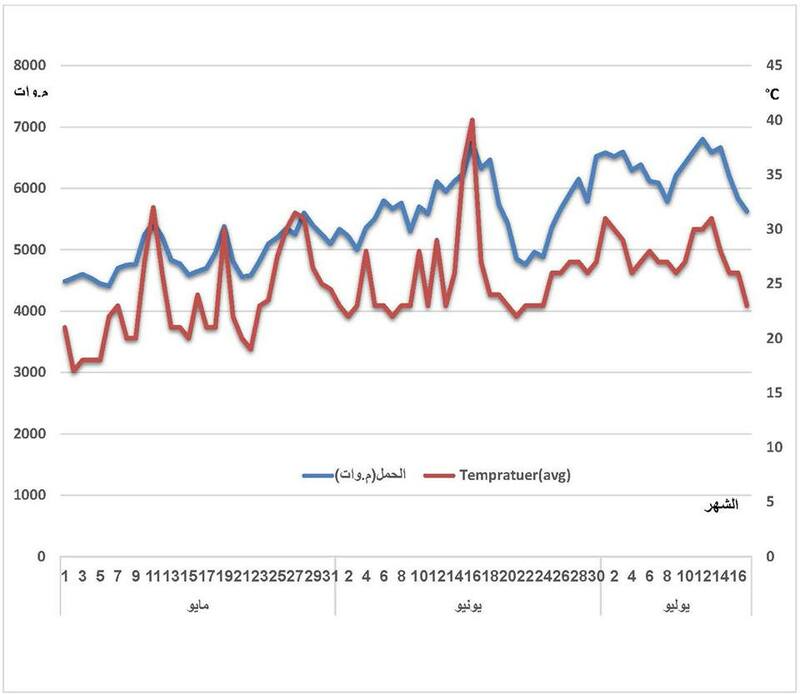 GECOL explains the correlation between temperatures and power cuts (Source: GECOL). Reacting to public criticism and social media accusations, the General Electricity Company of Libya (GECOL) sought to explain and justify the length of power cuts that it is forced to impose on the Libyan public in relation to the prevailing temperatures of the day. The company faced the wrath of the Libyan public as power cuts of ten hours and more, depending on the area, were enforced in the peak heat of summer. However, when an unusually cool spell at the end of June and early July set in, power cuts were reduced to one to two hours. GECOL dispelled conspiracy rumours and accusations of politically motivated power cuts in various parts of the country and within the capital Tripoli for these fluctuations. 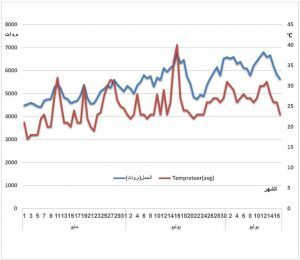 Publishing a graph which showed the correlation of the temperatures in the months of May, June and July, GECOL explained and depicted how demand for electricity peaked and troughed as temperatures rose and fell. GECOL said that the biggest causes of this fluctuations were the use of air conditions and radiators. It was notable on the GECOL graph that as temperatures fell below 30 degrees Celsius, power consumption fell markedly with clear peaks of power consumption on days when temperatures spiked. The company said that it had noted a fluctuation of about 39 percent in consumption between very hot and averagely hot days. This fluctuation translated from a peak demand for 6,740 MW to a low of 4,852 MW resulting in the difference between the 2 to 10 hours of power cuts. GECOL said that it had conducted research with commercial and domestic users being the biggest consumers of power. It said that many air conditions and radiators were not power efficient and that Libyans consumers did not use power wisely and in an efficient manner. It will be recalled that Libya has endured crippling power cuts ever since the 2011 revolution blamed on uncontrolled consumption as the public refuses to pay electricity bills, and damage to the power generating and distribution infrastructure caused by clashes by militias and by saboteurs. The general insecurity and instability in the country has prevented foreign technicians from entering the country to carry out urgently needed and well overdue essential maintenance – that cannot be conducted by Libyan technicians.